Located on the northeast side of San Antonio, Millican Grove is directly off Loop 1604 East and IH-10 East. Living here you can still enjoy the rural setting but you are just minutes from the hustle and bustle of Downtown, premier shopping and dining at The Forum Shopping Center, and weekend fun at Retama Park Race Track. Part of East Central ISD and a short drive to Randolph Air Force Base and Ft. Sam Houston, Millican Grove is an ideal location for military families. Millican Grove features our quality-crafted, single-family homes on 45' lots. 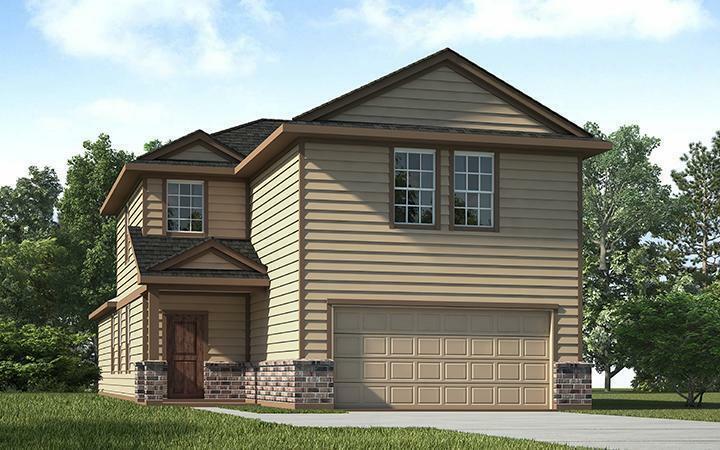 Choose from one of nine single or 2-story floorplans, ranging from 1,014 sq. ft. to 1,844 sq. ft. Our open-concept homes are designed with versatility for familes in all stages of life. Do you have a large family with frequent visitors? Use all bedrooms to sleep everyone comfortably. Do you work from home? Turn a bedroom into a formal study. There is a home for everyone in Millican Grove. When fully completed the community will have approximately 380 homes with private parks and playscapes.